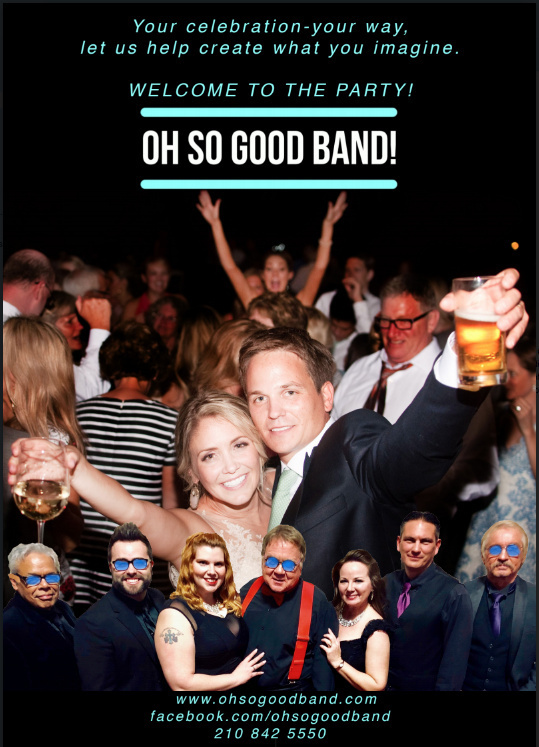 Complete your celebration with outstanding live band performances! Let us at Oh So Good Band! entertain you and your guests with our live music. We guarantee to make your night truly unforgettable with live band performances that reflect the spirit of the occasion. To start planning your song lists, call or email us today and schedule an appointment. We are available to travel in and around Dallas, Houston, Austin, and San Antonio, TX.